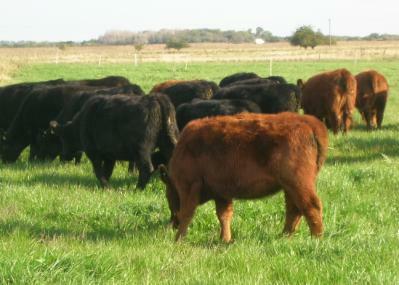 Cattle concentrate grazing during the afternoon and evening. Pasture presents the highest sugar, digestibility and less fiber concentrations in the afternoon and evening. Afternoon pasture allocations increases duration and intensity of afternoon or evening meals and pasture intake at that time of day, improving animal performance. Pasture intake rate is increase with “hunger”, therefore pasture intake during the afternoon-evening may not yet be maximized. These facts led an Argentinean research team A planned morning fasting generates (National University of La Plata) to assess the impact of morning fasting periods combined with afternoon pasture allocations on grazing behavior, pasture intake and performance of beef heifers. Grazing time during afternoon-evening hours increased. Idling increased and was concentrated during the morning. Performance and pasture intake were not affected. A planned morning fasting generates longer, more intense afternoon-evening meals, increasing the intake of higher nutritive pasture, resulting in equal cattle performance with shorter grazing periods. This management reduce residence time on pasture; therefore reducing injuries to plants and soil compaction. Consequently, this management would enable northeastern US graziers to improve future pasture production.